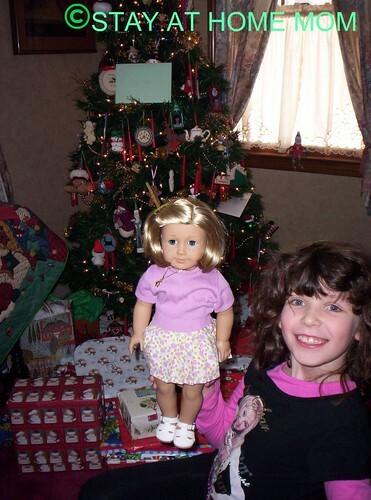 STAY AT HOME MOM: WW #40 "An American Girl"
I take it that the doll was a big hit at Christmas.... very cute. Someone looks like they're happy!! Lucky girl for getting one of those for Christmas. Very cute! She looks so excited! OMG, turn the doll's hair brown and they're twins! Cute! 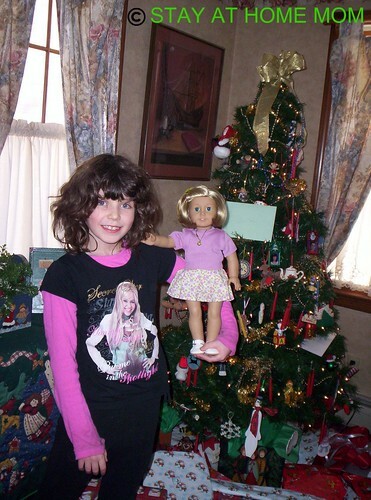 Oh, the good old days...I miss playing with dolls! My link is not right. I hate when I do that!! !